Even though variations of the green screen film technique originate from the first half of the 20th century, this technique has reached its full potential in the age of digital cameras. Most of the best-selling motion pictures since the turn of the century have utilized this technique in one way or the other to create awe-inspiring visual effects that moved the boundaries of what we thought is possible to achieve on the big screen. Green screen is a technique often used by film industry professionals, but that doesn't mean that you can't create green screen videos at your home. In this article, we will show you how you can edit green screen footage and create amazing visual effects. How to Make a Green Screen Video with Movavi Video Editor? In order to create green screen videos, you first must record footage in front of a green screen and once the footage is in the can, the video editing part of the process can begin. All green screen videos are comprised of two different video clips, the foreground or the green screen video and the background video. The first step of the process is to import the footage into the video editor and place it on the timeline. 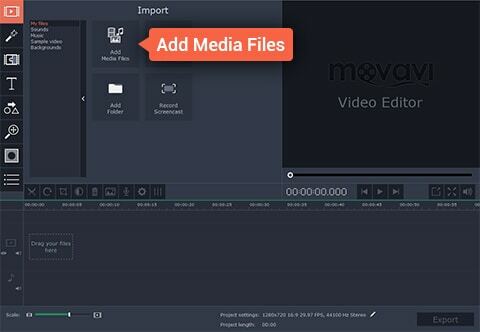 If you would like to import footage into Movavi video editor you must first click on 'Create Project in Full Feature Mode' and then select the 'Add Media Files' option. Once you've completed these actions, the files you selected will be placed on the Movavi's timeline automatically. Before proceeding any further, select the foreground video and place it on the 'Overlay Track' directly over the background video that should be located in the video editor's 'Video Track'. Once your video clips are positioned correctly, double-click on the green screen video and choose the 'Cover' feature from the window that emerges. Hit Apply to completely cover the foreground video and then look for the 'Tools' menu, located on the left side of the screen. After you opened the 'Tools' feature, click on 'Chroma Key' option and click on the background video in the preview screen. Proceed to adjust settings such as 'Opacity', 'Noise', 'Edges' or 'Tolerance' in order to make the background video completely visible and your video editing effort is nearly finished. The last step of the process of creating the green screen video is to save it and share it with your friends or colleagues. Simply click on the Export button in Movavi's main menu and choose whether you want to save it as a video file, upload it online or convert it for mobile device viewing. Then just hit 'Start', sit back and wait for your video to be exported. 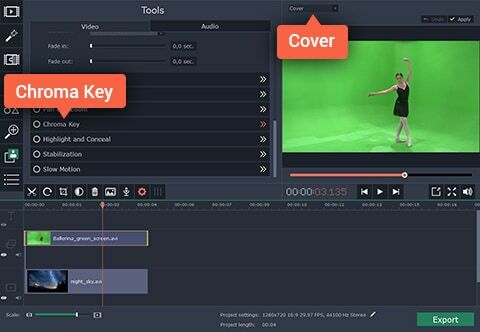 Movavi is certainly a powerful editor, but its alternatives like Wondershare Filmora are equally powerful and enable users to create green screen videos with ease. If you would like to create a green screen video with Filmora you just need to follow a few simple steps. Once your footage is imported into the Filmora video editor, place the green screen footage into the PiP track and right-click on it. Select the green screen feature from the drop-down menu and wait for the Motion settings window to appear. 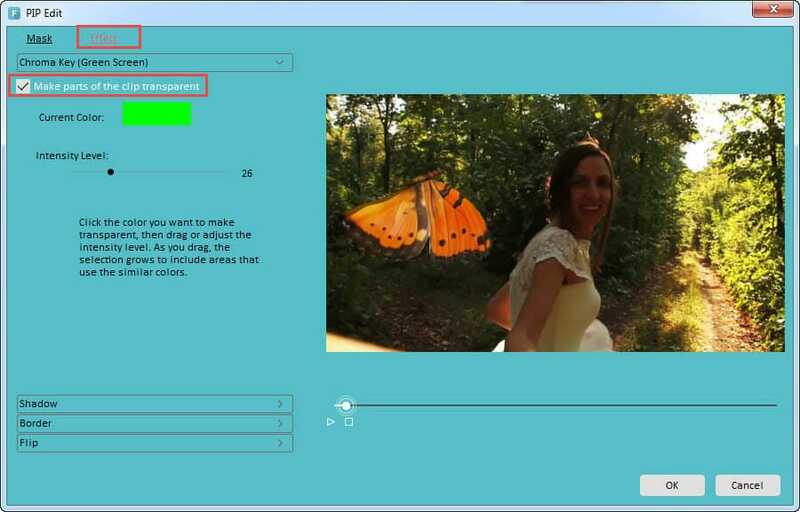 Once you access the green screen options, click on the effects feature and make sure to select the 'Make parts of this video transparent' checkbox. Adjust 'Transparency' 'Shadows' or other options and then add the background footage to the editor's timeline. The two videos will appear as one since the transparent parts of the green screen video will be covered with the background video. Once you've completed all of these actions, simply hit 'Export', and enjoy the achieved results.